Data protection is becoming more and more important with the many major hacks and infiltrations by malware and those that are intent on creating havoc. With more and more companies housing user information in the cloud, protecting this information has become some organizations number one priority. However, it is also important to know how to understand this data. 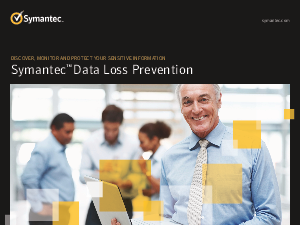 Download this whitepaper to learn how to discover, monitor and protect your sensitive information to maximize the efficiency of your data management and see how you can greatly improve your data loss prevention.